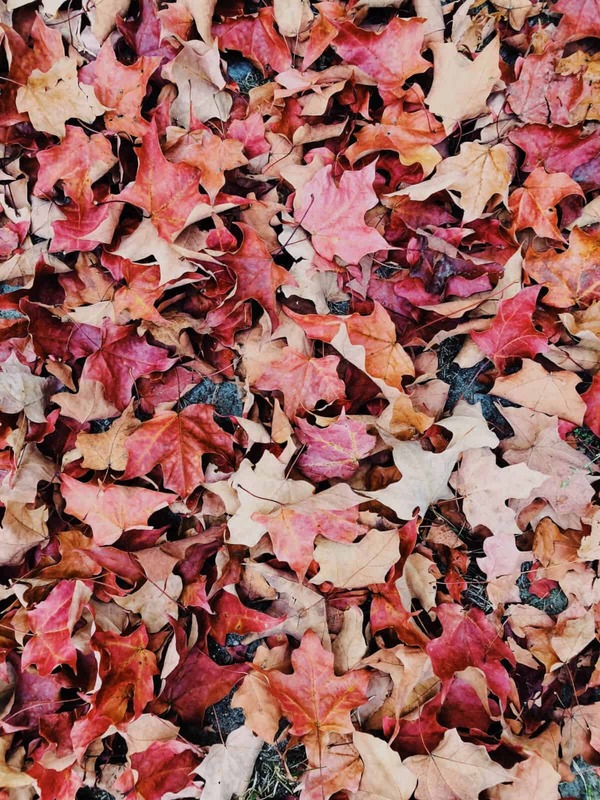 I don’t think I need to tell you all the reasons fall is fabulous. But I can tell you that my favorite parts about the season are the delicious scents and flavors. I bet candle sales skyrocket this time of year! I looove seasonal scented candles. Really, anything that makes my home smell more like fall is worth having around. And with kiddos, I try to find things that they can enjoy too. What do you know, there is a way to achieve a great smelling house while giving the kids something fun to work on! 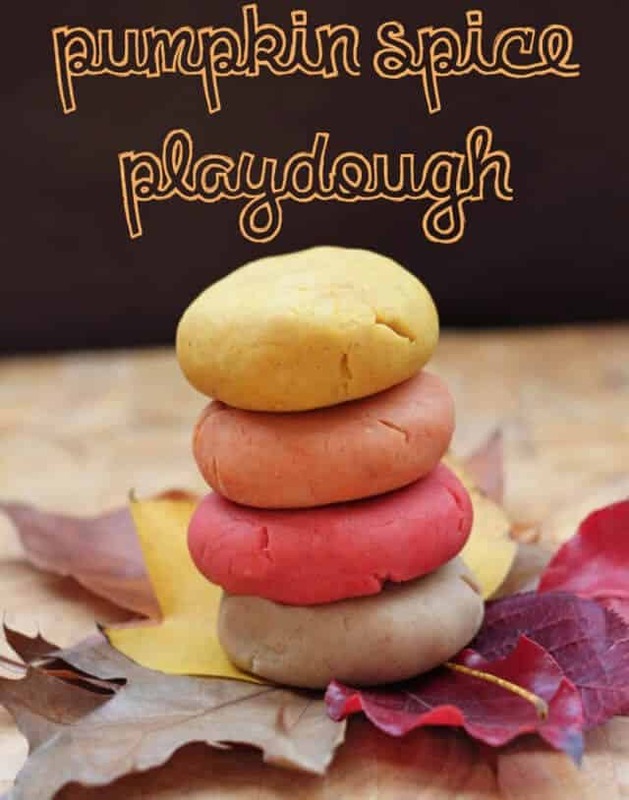 Enter fall play dough recipes. 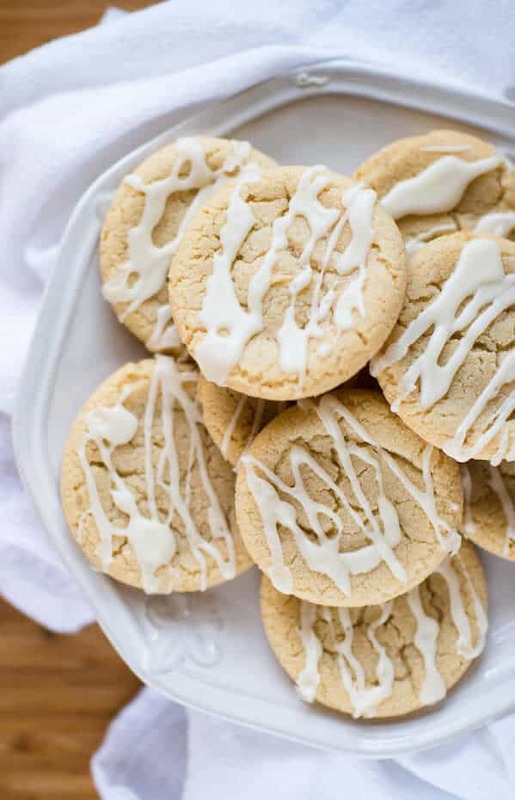 Even if you can’t eat them, they’ll send amazing scents through your home so it will always smell like something yummy is baking (because I am no Betty Crocker.) And come on, the kids will be delighted to play around with ingredients and play dough. This is a win-win for moms and children everywhere. My favorite, favorite, favorite fall flavor is pumpkin spice. Whether it’s a drink, a pancake or a dessert pie, I will not turn down pumpkin spice flavored anything. In fact, I’m drooling just thinking about it. Maybe filling my kitchen with the scent will feed my pumpkin spice fix…at least until I can get to the nearest Starbucks. Honey, have you seen the keys? Head over to small + friendly for the play dough recipe that will make all your pumpkin spice dreams come true. I don’t live near an apple orchard, so I won’t be taking my kids apple picking any time soon. But I love the smell of apples, and caramel apple pie is even richer smelling! 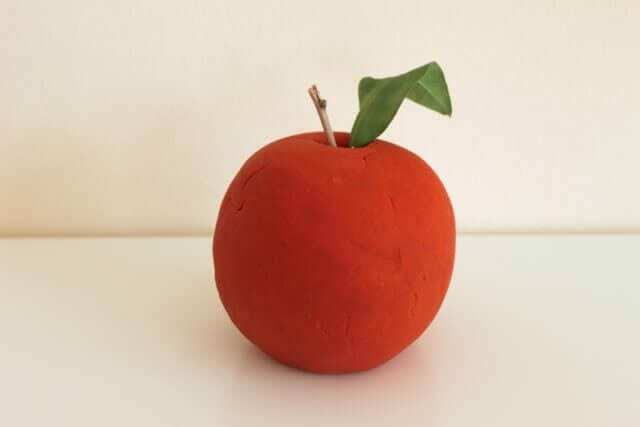 So if you too want to fill up your home with caramel apple pie scented play dough, you can! 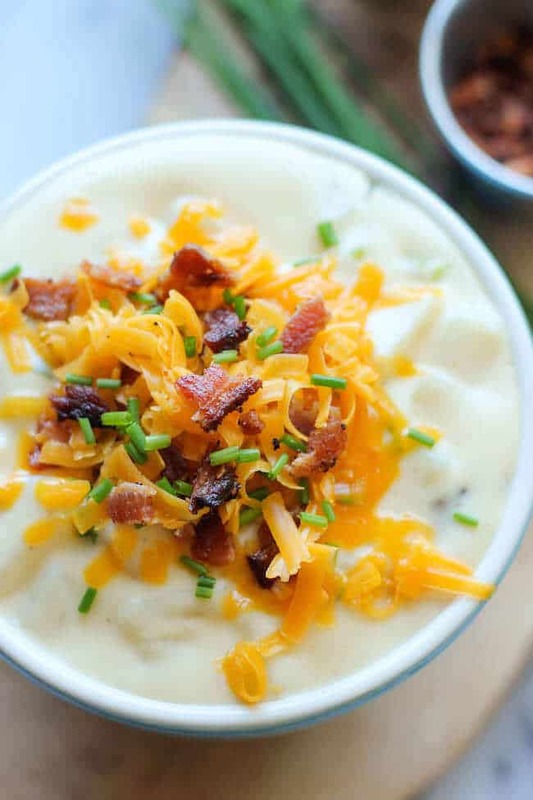 Check out the recipe (which is made with real apples) over on Mama.Papa.Bubba. Among my favorite breakfast cereals is Cinnamon Toast Crunch. The combination of the cinnamon and sugar is superb and I love the burst of sweetness in the morning. But cinnamon by itself is pretty amazing too! I love putting cinnamon sticks in my hot cider and letting the scent and taste fill my senses. 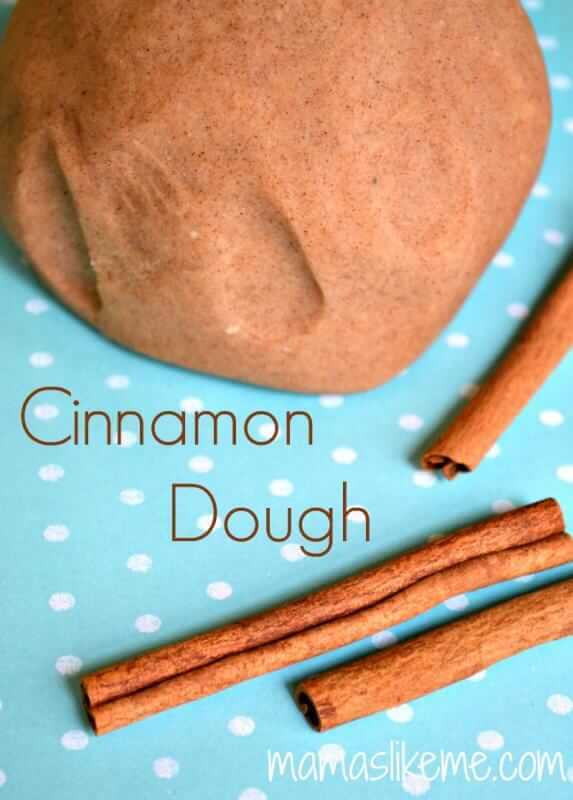 I imagine that cinnamon play dough would smell really nice, and my kids would probably be tempted to eat it! 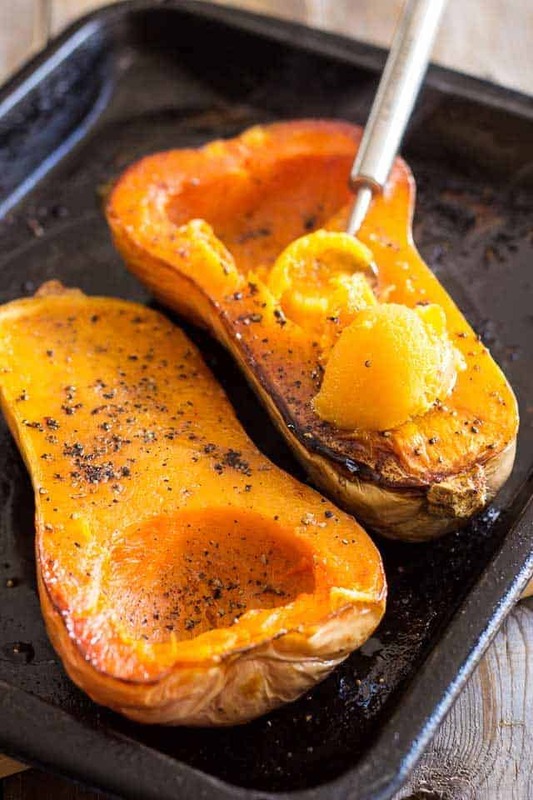 If you want a rich cinnamon scent to fill up your kitchen, head over to Mamas Like Me for this recipe. 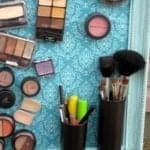 Get the full recipe at Fireflies + Mud Pies, where you’ll also find more DIY projects for fall. Ok folks, what I’m about to tell you might freak you out a little bit. 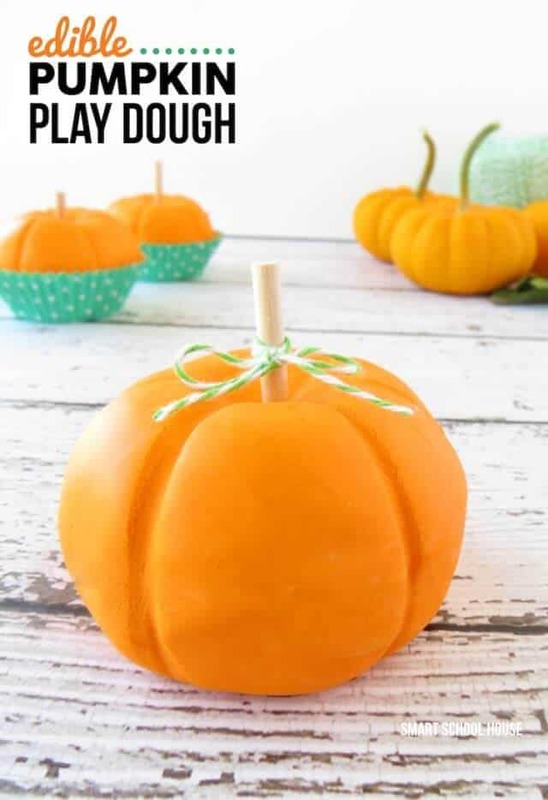 Are you ready?…There is pumpkin play dough that you can eat. Yes, edible play dough. 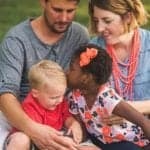 My kids have tried to eat play dough on a few occasions, and I’d much rather have them eat the kind that won’t make me panic if they consume it. And even though this recipe doesn’t use pumpkin, it is made from powdered sugar and frosting, so I’m pretty sure it tastes divine. 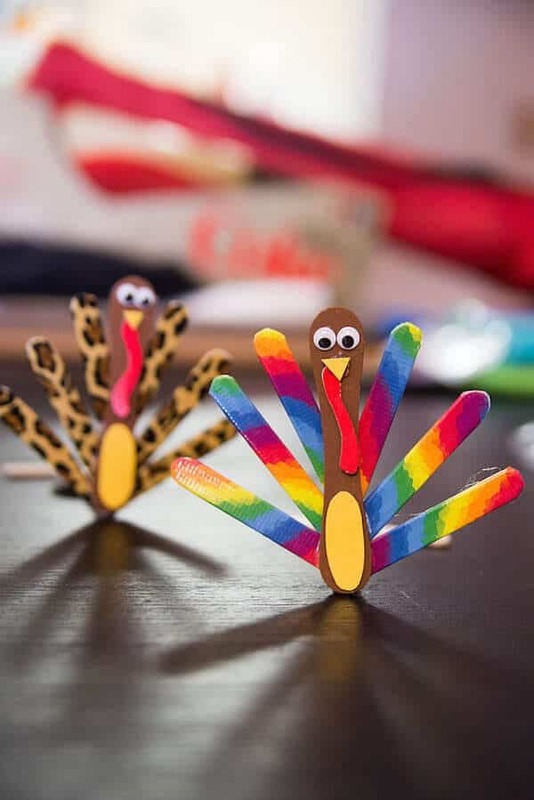 Take a peek at Smart School House for directions on making this fun afternoon activity that you can eat. 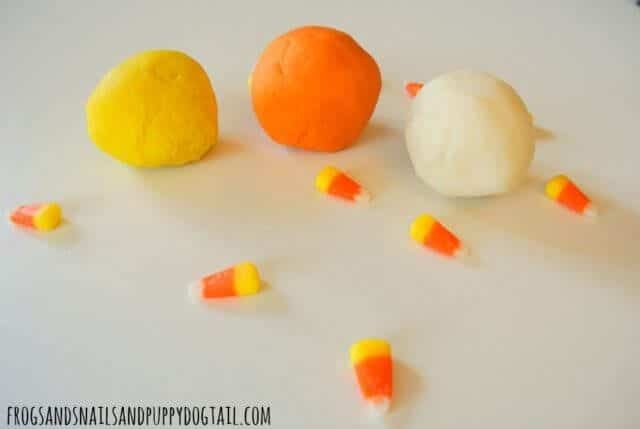 For play dough that is great for Halloween or Thanksgiving, there’s a candy corn inspired recipe. 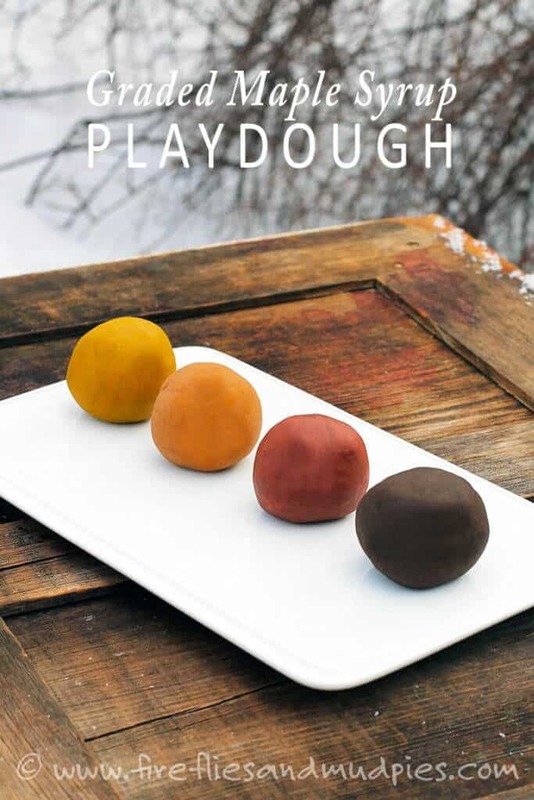 With a little orange and yellow food coloring, and a handful of other ingredients, you can make play dough that will have you craving the tri-colored candy in no time. Head over to Frogs Snails And Puppy Dog Tails to find out how to turn this recipe into cute party favors. What do you get when you mix almond extract, flour, cinnamon, cream of tartar and ginger? 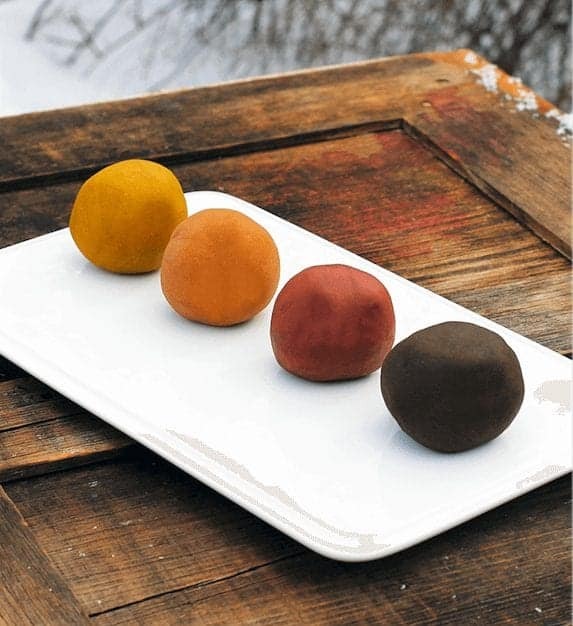 Play dough that is reminiscent of an almond spice cookie. Or an almond spice latte. Or an almond spice dessert bar. I mean, who cares what analogy you use? 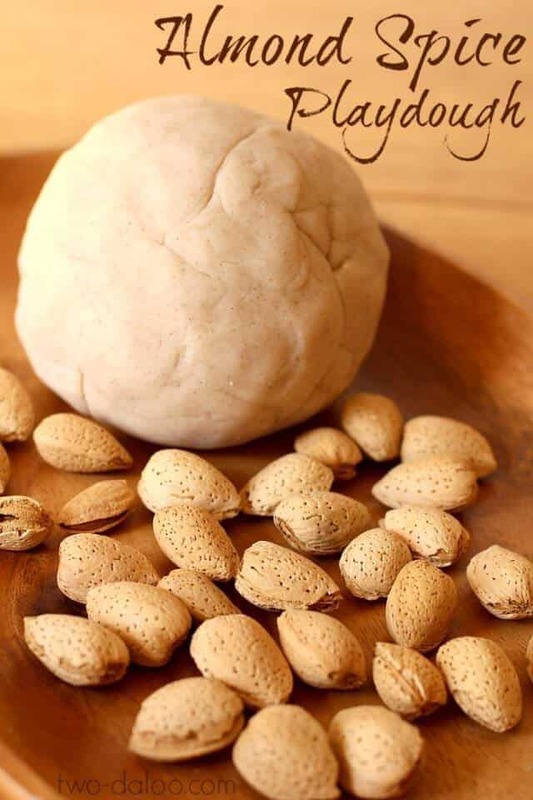 Almond spice play dough? Yes please! This is a seasonal scent that isn’t too strong, but has just enough fall in it to make you feeling like baking up a storm. 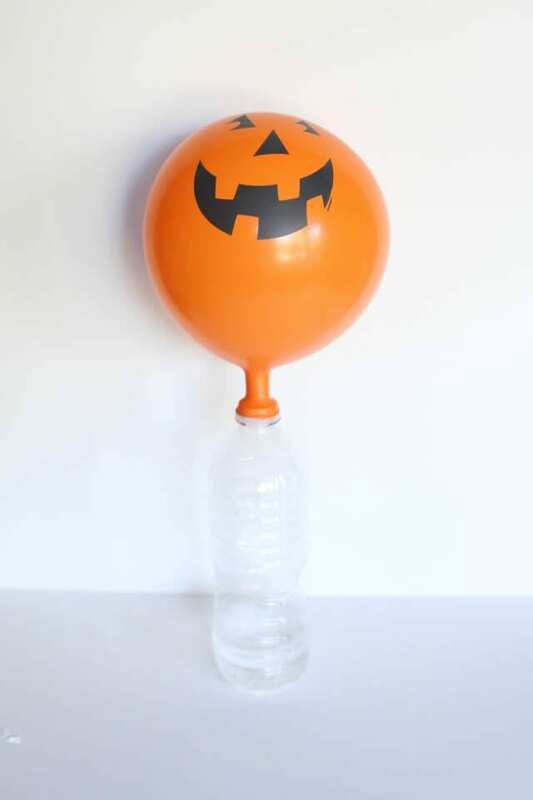 You can find the full recipe for this over at Two Daloo, where you’ll find more ideas for kids crafts and activities.